In 2016, Death Worship released its tremendous debut, Extermination Mass. That MLP was years in the making—meticulously composed, precisely executed, and painstakingly recorded. Written and conceived by R. Forster (Domini Inferi/Conqueror/Blasphemy) and performed with the assistance of J. Read (Conqueror/Axis of Advance/Revenge) on drums, along with backing vocals by Black Winds from Blasphemy, the six tracks on Extermination Mass served as a reminder of the potency that still remains in extreme metal when left in the capable hands of masters. 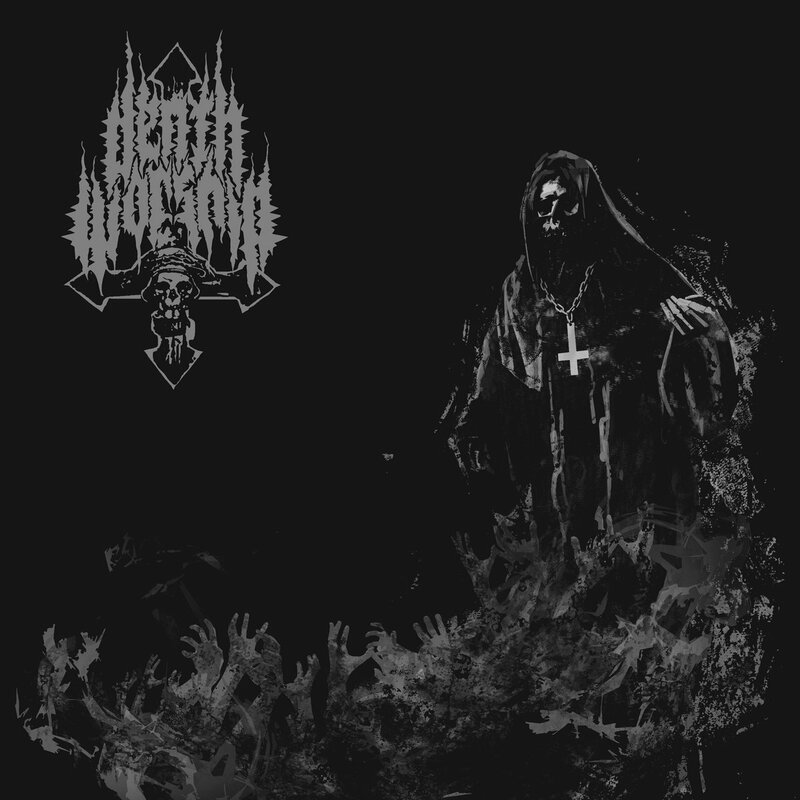 Currently, Death Worship are in the process of writing and recording the follow up to Extermination Mass; however, Forster has made clear his intentions with the project and quality will never fall victim to expediency. In the meantime, to slake the underground’s appetite for new Death Worship material, NWN! is releasing the demo version of the Extermination Mass recording. This alternate recording, made in a home studio setting a few months before entering Fiasco Bros. Studio to commit the final version to tape, was only circulated among close associates of the band. Forster’s intention in making these alternate demo tracks was, he says, to establish “a clear and exact focus of what I wanted to achieve.” In particular, Forster wanted to spend time working out the vocal patterns using these demos. Beginning with a base recording with Read on drums and Forster on guitars, he used the tracks as a template to work and re-work the vocals, as well as the guitar leads and overdubs. Listening to the final result, it is apparent that Forster’s methodical approach clearly paid off. This demo contains all six of the Extermination Mass tracks, set in the same order as the MLP, but features more feral performances and coarser production. Indeed, these alternate versions will, for many, be preferable to the final versions presented on the original MLP because they so vividly capture the brutal essence of Forster’s and Read’s assault. When asked why he wanted to formally release these versions of the Extermination Mass recordings, Forster responded: “Demos with productions like this were the norm back in the old analog tape trading days and somehow the 'evil' was expressed better with this type of recording. Something happens with a sound that is too cleaned up. All the darkness is wiped away.” “This recording,” he clarified, “is for the die hard maniacs into more savage sounds.” Completing the presentation of the Extermination Mass Demo is cover artwork painted/created by Calvariam Design (Germany) based on “the Desolator” image from the original Extermination Mass cover.